I have very mixed feelings about this book. I really admire Roxanne Gay, her writing and her ability to speak so passionately about important issues. Gay provides commentary on a number of subjects ranging from reproductive right to her thought on The Hunger Games. Throughout her writing Gay also remains very aware of her own privilege; She is a woman of colour, but acknowledges that she grew up in a middle class household and was afforded her certain opportunities. Privilege is something that I am also keenly aware of. Throughout my undergraduate work studying the effects of slavery and free Blacks in Antebellum America caused me to examine my own privilege; was there any way I could possibly understand the lingering effects of slavery? In grad school, studying the Black experience in Upper Canada, I was also constantly reminded of my own privilege, especially from my Grad supervisor. While I am aware of my own privilege I do not think that believing The Help and Twelve Years a Slave to be good movies makes me a terrible person. The portrayal of Black suffering in film is something that really angers Gay. While I found myself totally agreeing with her in her beliefs about feminism, and was moved when Gay described her own experience with sexual abuse, this is where she lost me. I liked The Help. Is it totally self-congratulatory towards white people? Absolutely. But Octavia Spencer and Viola Davis both stood out to me with their Oscar worthy performances. Gay is also critical of 12 Years a Slave, and I share some of her gripes, most notably the use of Lupita Nyong’o’s character (and body) to move along the story of Soloman Northup, a male. Still the movie is the first representation of the Black experience, as written by a Black man, and the movie deserved the accolades it received from The Academy. Gay complains that there needs to be a different presentation of the Black experience; one that does not focus on suffering. I understand this, and I whole-heartedly agree. Other ethnic groups face the same issue. Almost every single movie to deal with the Jewish experience nominated for an Oscar, has dealt with the Holocaust. (Sophie’s Choice, Schindler’s List, The Pianist, and even the Italian language film Life is Beautiful.) While there definitely needs to be more examples of the Black experience in popular culture that move away from one of suffering, these movies are historical (although The Help takes great liberties) and the fact that they portray Black suffering in a historical sense is accurate and should not diminish the quality of these films. Gay made me feel a number of things with her collection of essays. I agreed, I disagreed, I was moved, and I was outraged. For me, the mark of a good book is that it makes to feel something, and so with that said, I think Roxanne Gay did a good job. 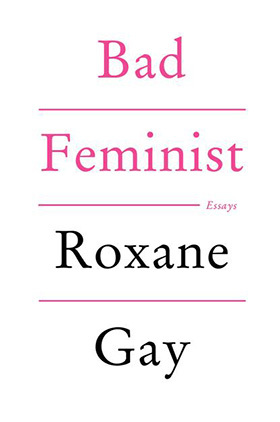 This entry was posted in Reviews and tagged African American Studies, Bad Feminist, Essays, Feminism, Film Studies, Non Fiction, Popular Culture, Review, Roxane Gay on March 23, 2015 by kwils3.